As long as you don't jump the gun and start the seeds too early, there's no harm in going on a buying binge in midwinter. 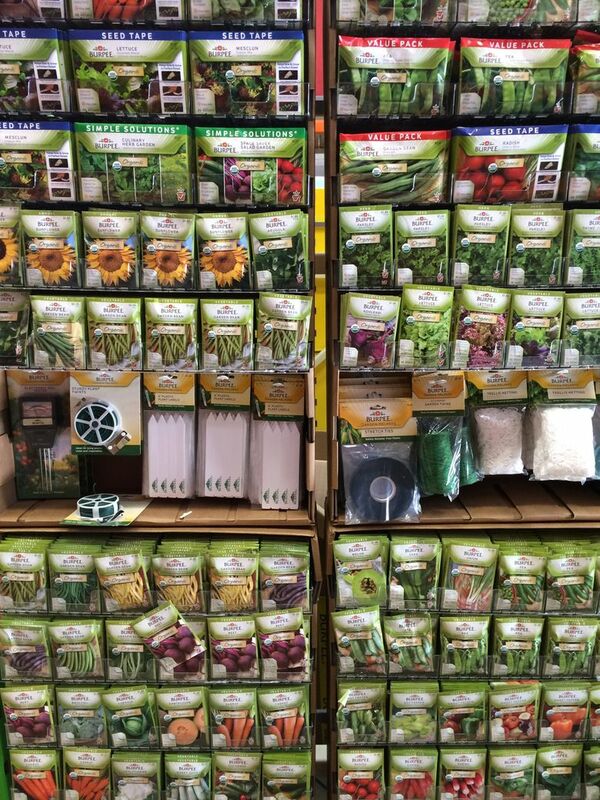 It’s too early to start seeds for the spring garden, unless you are into such things as artichokes and celery, but seed packets are showing up in all the usual places — in seed racks at stores, in old-fashioned paper catalogs and online. This misalignment of seed availability and seed starting may be put down to canny merchandising, but as long as you don’t jump the gun and start the seeds too early, there’s no harm in going on a seed binge in midwinter. You might turn our whole system of consumerism on its head: Pay Now, Live Later. Seed starting is all about timing, and often it’s about equipment — seed trays under lights, etc. — but the easiest entree into nascent plants is to select flowers and vegetables you can sow directly in prepared garden beds. The first varieties for this are peas, sweet peas and fava beans, which will endure a while in the cold winter soil and suddenly spring up in March. Peppers should be started indoors under lights in early March, a good two or three weeks before tomatoes, and they germinate quickly and vigorously with heating mats placed beneath the seed trays. The danger at the moment is in buying more seeds than you will ever use; I am not safe around a seed rack or a catalogue. The problem isn’t so much pure impulse-purchasing as delusion. I think my little community garden plot is Doctor Who’s time-and-space-bending spaceship, the TARDIS. I open the gate and 450 square feet turns into an acre, ready to welcome hundreds of varieties. I have learned to lower my ambitions somewhat with vegetables, but I am gripped by the need for annual flowers, once my area of least interest. I cannot explain this turnaround, except to say that flowers enliven the edible garden in unexpected ways. One example is nasturtium. I sowed seeds of three varieties last spring in a narrow border given over to rosemary and salvias. The nasturtiums stayed small and scrawny, hating the heat, but once things cooled off in October they just exploded into display. In another corner, the tithonia grew robust and floriferous. Elsewhere, zinnias refused to germinate (rain-soaked soil) and the amaranth was scant and stunted (my neglect). All the failures seem to do little to diminish the zealous anticipation that overtakes you around the January seed rack. Seeds are packages of life and can die if neglected, but if you keep them in the fridge, most will last three years or so. Hence, the new purchases tend to add to the existing inventory and, at some point, you have to go through all those crumpled, opened and half-used seed packets and decide what to pitch. Growing seeds for consumers is a peculiar business, and its commercial structure is complicated. For the most part, our favorite seed companies don’t grow the seed themselves. The Cherokee Purple tomato seed you buy on a rack at the big-box store may have come from the same seed farmer who supplied your tony mail-order catalogue, or a start-up that exists solely online. Prices can vary quite a bit for the same product, and it pays to shop around (consider seed counts or packet weights for valid comparisons). Some of the best bargains are found at mass merchandisers, but late last summer when I wanted Asian greens and head lettuces for a fall garden, I had to go to a foodie seed catalogue and somehow spent $70 on a dozen or so packets. I can’t complain; I’ve had fresh salads from early October until last weekend and along the way discovered a delightful Chinese cabbage named Tokyo Bekana, a robust, lime-green beauty. Wholesale producers such as Wild West Seed in Albany, Oregon, contract with an army of farmers to raise seed. Most varieties are raised in the northwestern United States, but some crops are grown by farmers in China, India, France, Poland and elsewhere. Wild West provides the seed, monitors the crops, determines the harvest date and then cleans and packages the seed, said John Wahlert, the sales manager. Applewood Seed in Arvada, Colorado, similarly works with hundreds of farmers around the globe, along with other production companies with their own growers. The cost of seed is linked to how much seed a plant produces and how easy it is to get to it. Sunflowers are willing partners, but columbines are stinting. Butterfly weed, with all its fluff, is hard to process. Marigolds “produce a lot of seed but are expensive to clean,” General Manager Norm Poppe said. So yes, a lot of hidden effort goes into getting those seeds to the gardener, and we should acknowledge and celebrate that. 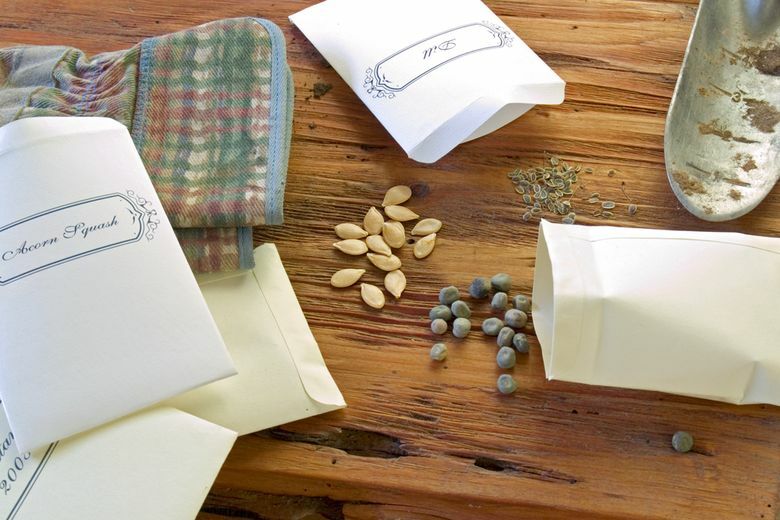 For people intimidated by seeds, transplants will show up in garden centers in late winter and early spring, which allows you to bypass the preseason ritual of starting your own. The transplants are convenient and timesaving but at a cost beyond money. It’s like baking a pie with ready-made pastry. There is nothing more satisfying in the kitchen than making a pie from scratch and nothing more rewarding in the garden than raising your own plants from seed. It gets to the process of the enterprise but also, and more importantly, to its magic. Turning tiny sleeping grains into a living plant to feed your family and the butterflies, what could be more divine than that?